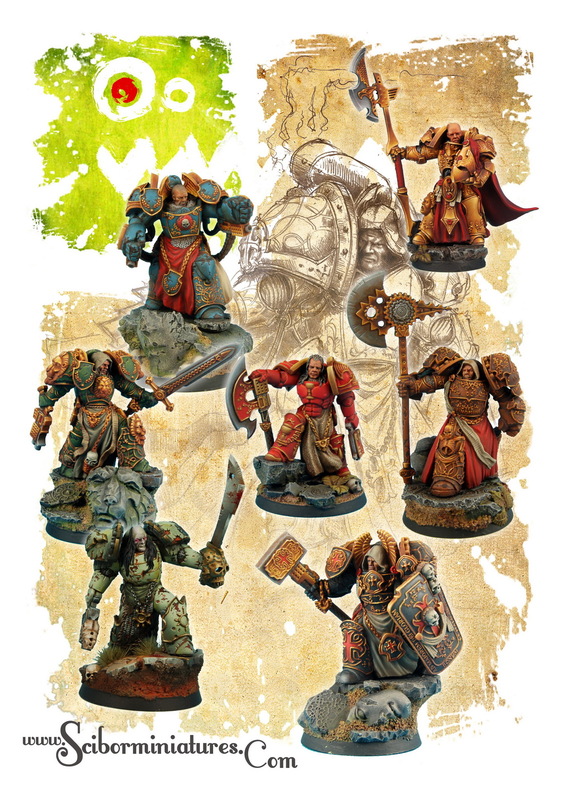 In our previous reviews of Scibor Monstrous Miniatures’ products, we focused on models from the SF section. Today, we will look at something closer to the liking of fantasy fans. The Relatively small section of 28mm Ogres Army includes one of the largest and most interesting (and the most expensive) figures that I have seen at the Scibor’s store. The Ogre War Rhino Rider is a true piece of art. Do not be fooled by it being placed in a 28mm section. This model will dwarf any other miniature in your collection (except maybe the Titans of Mech Suits). 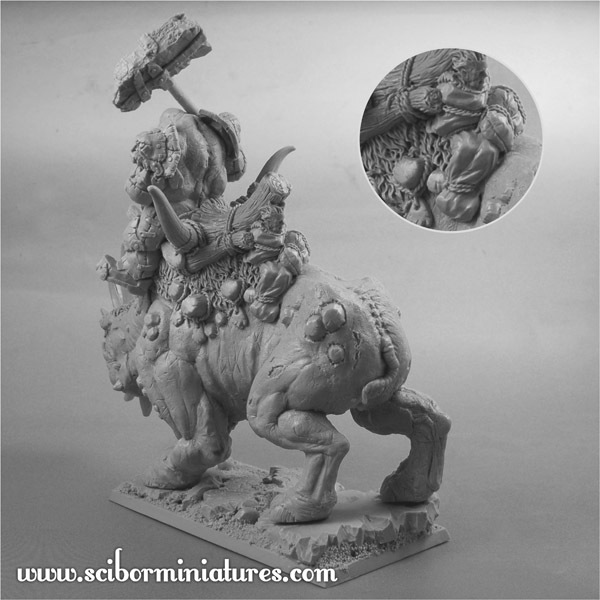 Like most Scibor’s products, this miniature is cast in one large block of resin, so that there is little actual gluing. Despite this miniature’s size, it has ​​extremely high level of detail. 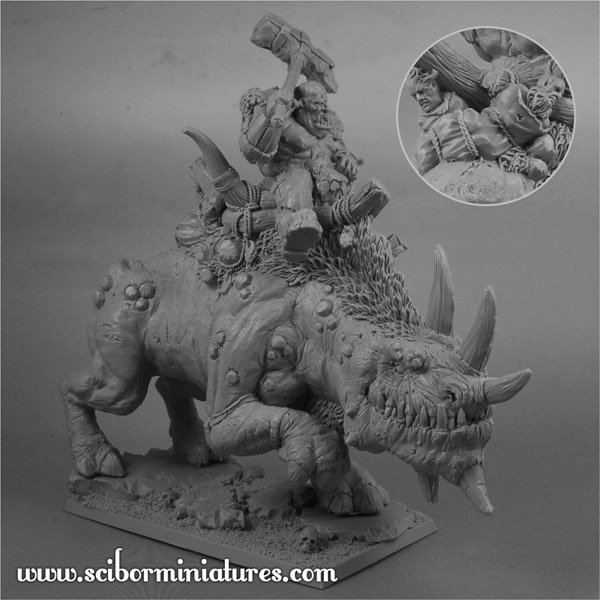 The main element of the War Ogre Rhino Rider miniature is a rider astride a mutant, lizard or dinosaur-like beast. The rider is simply beautiful in its ugliness, with his open mouth, crooked teeth, large stone armor and saddle made of tree logs laced with a cord. There is surprisingly little miscast for a figure of this size. The main model almost does not require any cleaning. The only downside are the division lines visible on the back of the rider, but I managed to smooth them away easily. The beast itself is called the Rhino, but it is more like a rhinoceros-lizard hybryd, especially since the head is very reptilian (it reminds me a little of a t-rex). The creature's body has a lot of folds that show its tough skin. The Back of the beast , along with its neck, is covered with thick fur, while stone “lumps” or scales are visible on the monster’s whole body. The head is a masterpiece, with folds of skin extending around the eyes, nostrils expanded, long teeth protruding from closed mouth and five horns surrounding almost the entire head (three on top and two on the bottom). While looking at this model, I couldn’t help but wish that Mr. Scibor will create a dragon sculpture in near future. Among the additional items we find one of the beast foot and both rider's feet, two horns, and the right Ogre’s hand holding a weapon. 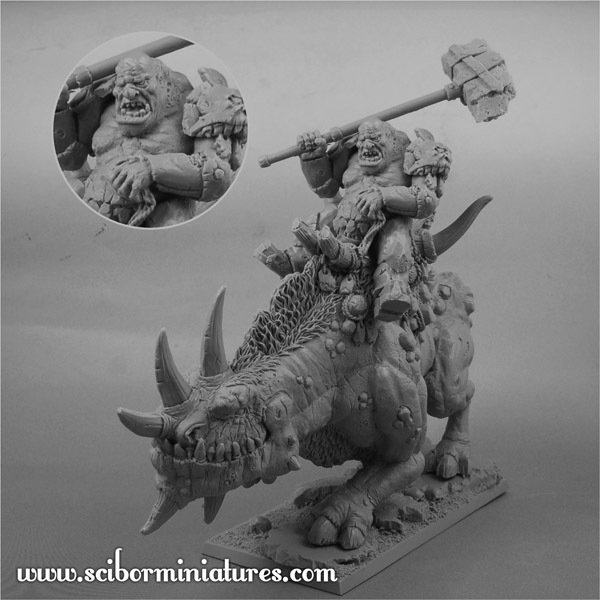 being a powerful warrior, the Ogre has been armed with a stone hammer, which looks impressive and intimidating. The length of the weapon could rival the height of a Warhammer 40.000 Dreadnought. The Metal braces, holding the stone on a top of a hammer are great little details. The miniature base is large and rectangular. This time, we do not find much detail on it, only a few skulls and shattered parts of an ornamented relief, in addition to the two smooth spaces, which are needed to set the massive paws of the beast.